Today's technology is so advanced. It seems like every day comes with new inventions and products to enhance the hygiene of both babies and adults. The baby electric toothbrush is an innovative contribution of modern technology that has revolutionized the cleaning of your child's gums and teeth. You can find several brands of the best electric toothbrush for toddlers in the market that are helpful and resourceful for your baby's oral hygiene and entertaining. While most ordinary baby toothbrushes come with a stiff and slightly larger head, the best electric toothbrush comes with a tiny head and soft bristles to avoid hurting your baby while brushing their teeth. Giving your children the power of a rechargeable electric toothbrush can help them get more thoroughly clean teeth even if their technique of cleaning teeth is less than perfect. The baby electric toothbrush is the toothbrush that has a small rotating head and soft bristles to clean the gums and teeth of your baby. The best electric toothbrush can be equally effective at fighting plaque and gum disease. The best electric toothbrush is ideal for children reluctant to brush their teeth, and for those who have difficulty brushing with a manual brush. 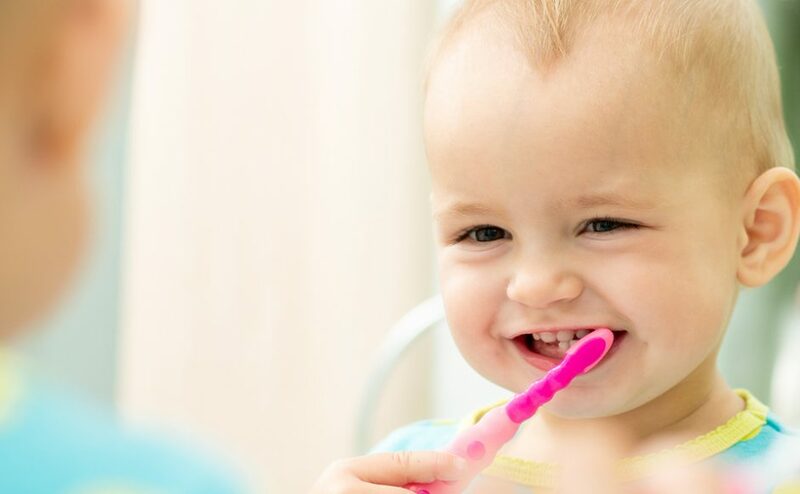 When the child is 1 to 2 years of old, you may introduce the brushing of teeth by using a soft baby toothbrush and a dab of a safe baby toothpaste. An electric toothbrush will be ideal since it has a small head and soft bristles that can reach all parts of the mouth without hurting the baby. Initially, the toddler may refuse the use of a toothbrush completely. Most toddlers aren't very interested in brushing their teeth. However, you cannot ignore the importance of regular brushing of your child's teeth. With the best electric toothbrush, the brushing experience can be more exciting for the baby to maintain good oral hygiene. 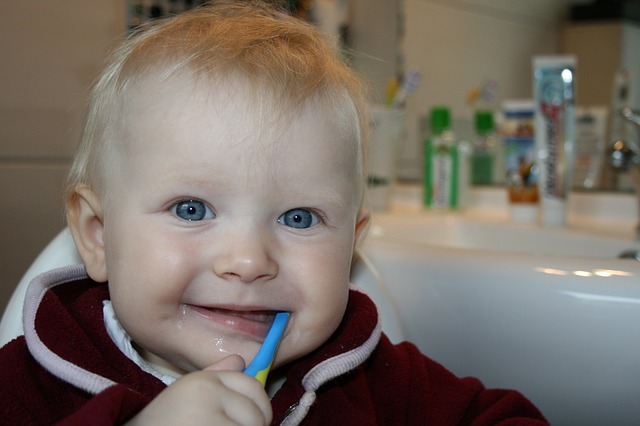 When you want to purchase the best electric toothbrush for your baby, choose the right one. Brushing teeth must be a pleasant experience for the child. Kids love the gentle vibration produced by the electric toothbrush, and they might be more inclined to brush their teeth if the process is interesting. For proper oral hygiene, brush your kid's teeth for at least for two minutes. Too many people rush through the cleaning process to save time. To overcome this problem, the best electric toothbrush comes with a timer that helps children learn how long they should keep brushing. While brushing the teeth, only gentle pressure should be applied. Vigorous brushing should be avoided, as it can cause harm to the gum, such as the formation of receding gum. Some of the best electric toothbrushes come with a pressure sensor that either beeps, flashes, or buzzes when too much pressure is applied on the gum while brushing. This warning can be a good way to prevent the dangers of vigorous brushing. The best electric toothbrush for babies and toddlers is designed to clean the gum and teeth effectively. The head of the electric brush is small with soft bristles that can reach all parts of the mouth cavity to remove plaque and food fragments. When you buy an electric toothbrush, look for its features and price to choose the right one. The best electric toothbrush displays motions a hundred times faster than the motions of the manual toothbrush. The rapid movement of the bristles in the electric toothbrush ensures thorough cleaning of the gums and teeth in less time than a manual toothbrush. The best electric toothbrush is designed to exhibit a variety of motions necessary for a thorough cleaning. It can oscillate at various speeds, vibrate, and even rotate. The movements of the bristles eliminate plaque, bacteria, and prevent gum disease. You can buy the best electric toothbrushes on Amazon. We compared 5 different brands of the best electric toothbrush for small kids. They were of the price range from $8 to $98. 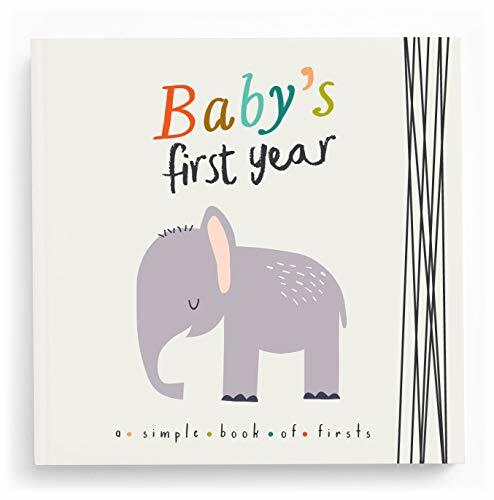 The lowest-priced brand was Summer Infant Gentle Vibrations sold by Amazon for about $8, and the highest-priced brand was Philips Sonicare HX6311/07 sold on Amazon for about $98. Other brands were in between these two extremes. We compared a few brands of the best electric brush based features, pros & cons, where to buy, price, and warranty to help you choose the right one for your child. The Summer Infant Gentle Vibrations Toothbrush is battery powered and displays soft vibrations. This toothbrush comes with three replaceable heads and four functions. One toothbrush head can be used as a gum stimulator while the other two toothbrush heads are for extended use. The gum stimulator head helps with the baby's sore gums. The Summer Infant Gentle Vibrations is ideal for infants and toddlers. It comes with a convenient storage case for safe storage of the electric brush. Comes with 3 toothbrush heads. One for gum stimulation and the other two for extended use. Check if the materials used are safe for kids. Oral-B Stages Kid's Rechargeable Electric Toothbrush is one of the best for kids. The rotating power-toothbrush head reaches, surrounds, and thoroughly cleans multiple surfaces of the mouth cavity. The extra-soft bristles clean as gently as a soft manual brush. It is ideal for kids above 3 years of age. The rechargeable battery lasts up to 5 days at the rate of 2 minutes/2 times a day of brushing. The ergonomic handles are designed to suit the tiny hands of children. An innovative way to help kids brush longer, the Disney Magic Timer App by Oral-B features their favorite Disney characters, and 9 out of 10 kids will brush longer with the help of the app. Just buy any Oral-B Stages product, download the Disney Magic Timer App, and scan the product with your device to watch the characters spring into action. Brush and Discover: As your child brushes their teeth, they can unveil a secret image. The longer they brush, the more images are revealed. 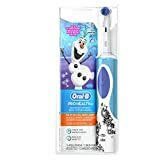 This Oral-B Stages Power Kids Rechargeable Electric Toothbrush, featuring Disney Pixar’s 'Finding Dory,' moves with oscillating-rotation action to help give your kids a superior clean compared to a manual toothbrush, even when their brushing technique is less than perfect. The rotating head features extra-soft bristles for a thorough cleaning as kids learn proper oral care habits. The design of this best electric brush is perfect for a smaller mouth, putting a powerful yet gentle cleaning action. The brush can be operated at the touch of a button. The rechargeable battery helps to brush for 2 minutes 2 times a day for up to 5 days on a single charge. Makes brushing fun by playing one of 16 melodies to signal when it’s time to change from the bottom to the top of the mouth for a thorough clean that will make them smile. The rotating, power-toothbrush head reaches, surrounds, and thoroughly cleans multiple surfaces of the mouth cavity. The Disney Magic Timer App by Oral-B features their favorite Disney characters that help kids to brush longer. This brush features the Disney Pixar’s 'Finding Dory' that moves with oscillating and rotation action of the brush. Check for the safety features of this model. Research shows that Spinbrush motivates kids to brush 38% longer than other brushes. This brush promotes healthy brushing habits, removes plaque, and massages the gums. It comes with a great handle for proper grip that makes the brushing experience fun for kids. It comes with lots of fun handle designs, such as Spider-man, iron man, hulk, skateboard, butterfly, Pikachu, and Wolverine. The brush has smaller powerheads to fit the smaller mouths of kids to massage gums and promote a lifetime of happy, healthy brushing. Motivates kids to brush 38% longer than other brushes. Promotes healthy brushing habits, removes plaque, and massages the gums. It comes with lots of fun handle designs, such as Spider-man, Iron man, Hulk, skateboard, butterfly, Pikachu, and Wolverine. Check for the safety aspects of this electric brush. The award-winning Brush Baby electric toothbrush is specially designed to help parents care for their baby's teeth. The battery-powered toothbrush exhibits soft sonic vibrations that are the best for an exciting brushing experience for the kids. The 2x tiny brush heads with soft bristles are ideal for keeping the baby teeth and gums clean. It comes with a unique 2 minute light timer and 30-second pulse reminder. This brush is suitable for kids of 0-3 years and comes with 1 AAA battery. The sonic vibrations from the brush during operation give the kids an exciting brushing experience. It comes with a unique 2 minute light timer and 30-second pulse reminder. 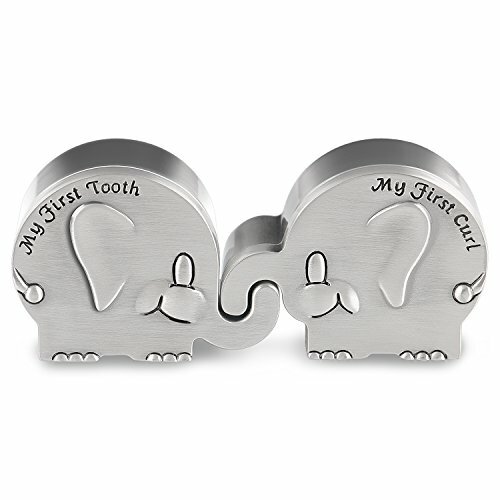 Specially designed to help parents to care for their kid's teeth. Check for the safety features of this product. The Philips Sonicare for Kids Rechargeable Electric Toothbrush - HX6311/07 is designed to be kid-friendly at every brushing phase. The power levels, brush heads, and bristles are specially designed for the small, sensitive mouths of kids. It comes complete with ergonomic handles to make the brushing experience comfortable and easy for the kid. It even features the KidTimer and KidPacer that help kids learn to brush for a full two minutes. Sonicare For Kids is safe and gentle on teeth and gingival tissue while reaching more plaque in hard-to-brush areas than a children's manual toothbrush. The KidTimer extends brushing time each day until the dentist-recommended time of 2 minutes is reached. 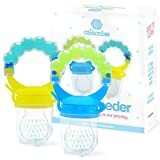 The KidPacer alerts the child to move to the next quadrant of the mouth to ensure a thorough cleaning. This brush is 75% more effective than manual toothbrushes in hard to reach places. The rubberized, extra-soft brush head is designed to protect young teeth. It comes with 8 cool design stickers + 2 bonus sticker sheets for a fun and customized brush. The power levels, brush heads, and bristles are specially designed for the small, sensitive mouths of kids. It comes complete with ergonomic handles to make the brushing experience comfortable and easy for the kid. The Kid Timer extends brushing time each day until the dentist-recommended 2 minutes is reached. Check for the safety aspects of this product. Check for the maintenance instructions. We compared 5 different brands of the best electric toothbrush for kids. They were compared based on their features, pros & cons, and prices. They were of the price range from $8 to $98. 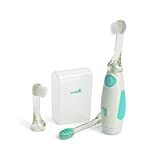 The lowest-priced brand was Summer Infant Gentle Vibrations sold by Amazon for about $8, and the highest-priced brand was Philips Sonicare HX6311/07 that came with a price tag of about $98 on Amazon. Other brands were in between these two extremes. They all were designed for proper and gentle cleaning of kids' gums and teeth. They all came with rotating heads with soft bristles, attractive handles, and other features to motivate kids to develop the brushing habit at a young age. With these features in mind, a medium-priced brand, such as the Oral-B Stages electric toothbrush that is sold on Amazon for about forty dollars, may have an edge over other brands. It comes with advanced features expected from the best electric toothbrush at an affordable price. It's hard to believe, but your baby is, well, not a baby anymore. One-year-olds are entering toddlerhood, and they are on the move. 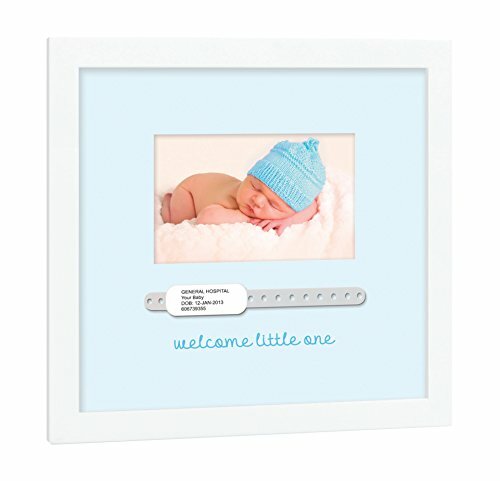 Gone are the simple newborn gifts. Now it is time for educational toys that keep your child engaged, encourage active learning, foster their speech, walking, and more. While not all kids approaching their first birthday are doing the same things, these are some of the best toys that hit certain milestones most children reach around this time. Included in this article are dolls to inspire imaginative play, toys that help with gross motor skills, and even cause-and-effect toys that teach them that doing something creates another reaction. 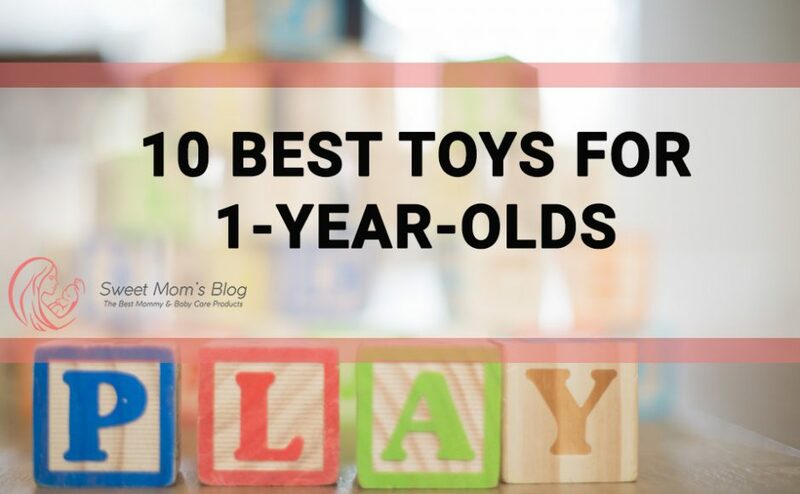 Whether your child is getting into everything or is more laid back and relaxed, these are the best toys for a 1 year old to keep them happy, healthy, and growing. The following products were reviewed based on the various parameters like features, pros & cons, price, and where to buy. The following products range from $4 to $45. Some of the toys feature songs and musical sounds to entertain your kids, which comes with a higher price range. However, a number of other toys in the lower price range are jam-packed with activities to engage the toddlers while targeting the developmental skills of the growing child. Regardless of your financial needs, there's a toy that is perfect for your 1-year-old's playtime. This durable wooden multifunctional musical instrument can be played in a variety of ways. Little ones can pound the balls and create music as they please with this cute wooden toy, which is suitable for children from twelve months old to three years. The tiny wooden hammer is designed to pound the balls onto the xylophone, which will then play a little tune. Besides helping with musical recognition, this toy has a cause-and-effect aspect, which is a skill toddlers are developing right at the one-year age mark. They will enjoy hours of fun seeing what they can do to make things happen. This toy is one of the best toys for 1 year old. 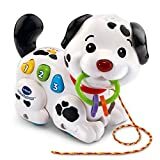 Key Features of Vtech Pull and Sing Puppy include an interactive battery powered puppy for the little ones to pull around on its leash while the puppy sings and teaches numbers, the alphabet, and parts of the body. All you need is two AA batteries to get this guy to do its tricks, which includes 60 plus songs, melodies, sounds, and phrases. Three colorful buttons promote fine motor skill development, light-up nose flashes along with all voices, and sound and musical responses attract your little one's attention. Pull or push the playful puppy to activate the music, see the puppy's legs move, and watch the keys swing. All these features grab your toddler’s interest for hours, and that’s exactly why this product is one of the best toys for 1 year old. Little People Mini Farm features your favorite farm scenes to keep your little toddler entertained for hours. This toy is definitely one of the best toys for 1 year old. It includes a magic well with a bucket to fill, removable farm fence pieces to rearrange and rebuild at your child's whim, activities to help Eddie feed hay to the horses, and endless games of hide-and-seek through the swinging doors. This fun colorful picnic basket set is strictly for the enjoyment of toddlers. It comes with all of the settings for a perfect basket of deliciousness. This 14-piece picnic set includes six food items, two plates, two forks, two cups, one picnic blanket, and one basket. Children build motor skills as they sort, match, stack, empty, and fill. Store everything you need right in the basket for easy clean-up every time! Lift the basket’s lid to hear sweet instrumental music and fun sound effects. The fact that parents can connect to the online LeapFrog Learning Path for customized learning ideas and insights from LeapFrog makes this product one of the 10 best toys for 1 year old. We all know how much toddlers love babies and like to be in charge of a little one, just like their mommies. This 12-inch cuddly soft baby doll for little mommies ages 18 months and up features sleeping eyes and smooth, supple vinyl skin that’s delicately scented with vanilla. Its soft beanbag body invites cuddling and can be posed like a real baby for creative pretend play, claiming its place among the 10 best toys for 1 year old. This doll can be air-dried by hanging it from the tab on the back of its neck, making it easy to clean. Your child will never have to live without their favorite doll, even when accidents happen! Mon Premier Bebe Calin Ballerina wears an all-in-one-piece ballerina fashion that's easy to put on and take off. She is recital-ready in a leotard, tutu, tights, and pink slippers with ribbon laces. She will always find a safe place in your toddler’s arms. 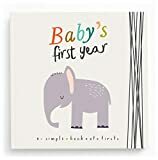 This bright board book with essential words and pictures to grab your little one’s attention is unmistakably one of the 10 best toys for 1 year old. 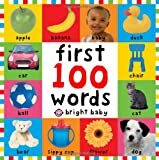 There are 100 color photographs to look at and talk about, and 100 simple first words to read and learn as well. 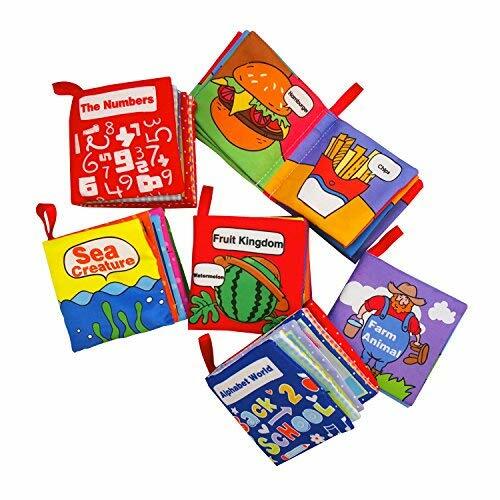 The pages are made from tough, durable board for hours of fun reading, and the cover is softly padded for little hands to hold. Ready to be amazedas the little ones learn new words. Pull the little shamrock tail and listen to "Hush Little Baby" lull them to sleep. Suitable for ages birth and up. Music box is water proof, so parents will love that this item can be washed in the washing machine on the gentle cycle. Toys in Haba's Pure Nature line are made with organic cottons that are hygienic and machine washable. This musical plush toy arrives with a waterproof music box to entertain your little ones. Pull the tail and listen to the lullaby. 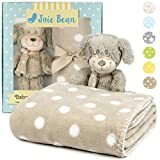 The organic hygienic cotton and machine washable clothing are added benefits and reasons why you will find this plush toy among the list of best 10 toys for 1-year-olds. Little ones will have a blast playing with this toy set, which features two iconic Fisher-price toys – a rock-a-stack and baby’s first blocks. Featuring five stacking rings in bright different colors for the toddlers to arrange and stack, this toy will keep them busy and engaged while developing fine motor skills. Your baby will love to put the blocks in the bucket one by one, and then dump the bucket to see all the colorful blocks come tumbling out—over and over again! And while they're having fun, they're exercising important development skills too, like hand-eye coordination, and thinking and problem-solving skills. 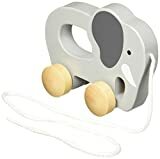 This cute wooden elephant with a pull-along cord will become your child’s favorite toy in no time, we are sure. Your toddler can push, pull, or carry along this bright colored pal on adventures with ease and that makes it one of the 10 best toys for 1 year old. Crafted in such a way as to make it easy for small hands to grasp and pick up, the Elephant Toy is a good playmate that enhances your baby's developmental skills. The solid maple construction makes it durable enough to race around the house with your youngster and keep rolling for generations of play. This retro chatter phone from Fisher-Price is the perfect toy to teach your baby about the pre-digital era. Who wouldn’t love to have a pretend chat with grandma by dialing numbers rotating the rings! The eyes also open and close, and the phone has a dial that rings with movement, which will keep your baby entertained. Your little one can also pull this toy along from room to room so the fun can follow them while they simultaneously work on their gross motor skills. This toy is suited for 1-year-olds and up, and many parents have found that their preschoolers are really into the imagination play element the retro phone provides, which makes it a great toy that will be with the family for a few years' time. Will take some getting used to for the children, as these phones have completely disappeared in the modern world. The above list offers suggestions based on product information, age group, ease of use, activities offered, developmental skills gained, and affordability. Every one of these toys will help entertain and impart learning skills to young, growing brains. Although each product is different, they won’t disappoint the little ones with the variety of fun and activities waiting to be explored. 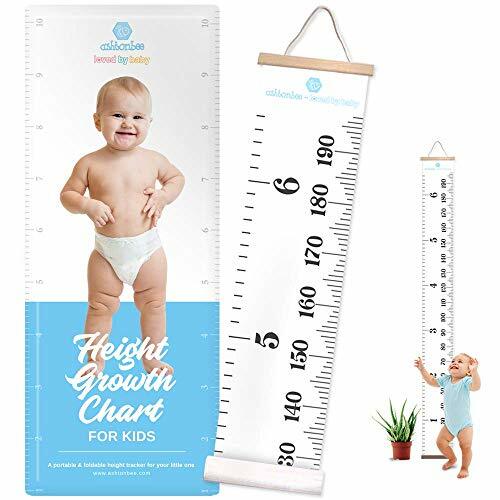 All the above products are suitable for 1-year-olds, and when considering all the factors, these toys most certainly are the best toys for 1 year old. Little ones will have a blast exploring this list of toys! 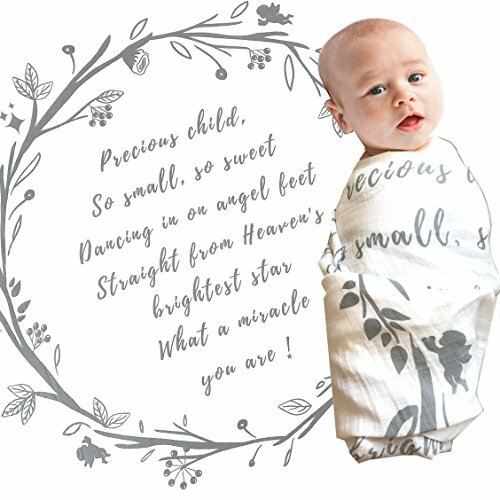 One of the most important items you need to buy when shopping for a newborn is a baby bassinet. Whether it’s for a friend who’s expecting a baby, or for yourself if you’re an expectant mother, a bassinet is must-have right from the day the baby is born. This is because newborns tend to sleep a lot (most babies sleep for up to 16 or 17 hours a day). So, you’ll want to ensure that the place when the baby sleeps is cozy and comfortable. Naturally, a lot of thought needs to be put into buying a baby bassinet. People often tend to confuse a crib with a bassinet. 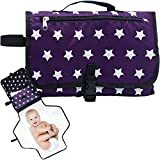 The former takes up a lot more space, is generally not portable, and is most often more expensive than a bassinet. If you’re looking for a compact place to tuck your little one in, and for an option that is portable and more affordable, a bassinet should be your first choice. If you’re considering getting a bassinet, you’ll have a few questions about how to go about buying one. This guide can help you pick the right kind of bassinet for your baby. Read on to find out about basic bassinet safety, about the various kinds of bassinets, and the features you’ll want to look out for when you’re out buying one. Baby bassinets are a popular choice among new mothers, primarily because bassinets are compact enough to be accommodated in the master bedroom, allowing the parents to sleep in the same room as their newborn. Nevertheless, it’s always wiser to follow certain rules and take certain precautions to ensure that the bassinet is a safe place to tuck your baby away in. Here are some tips to ensure basic bassinet safety. It’s best to put your baby to sleep by placing it on its back. This is the safest position for the baby to sleep in. According to the America Association of Pediatrics, sleeping on the back minimizes the risk of Sudden Infant Death Syndrome substantially. So, ensure that your baby lies on its back when it’s in the bassinet. As much as possible, keep an eye on the baby to ensure that it doesn’t roll away into a position that can be suffocating. It’s tempting and fitting to use the same bassinet you slept in as a baby if that heirloom is still around. Unfortunately, older bassinets do not conform to the latest safety standards and requirements. So, you may want to rethink the desire to use an older bassinet for your baby. It’s best to purchase a new one that fits the safety standards. You could still use the old bassinet to hold your baby’s toys and clothes. Yard sales are, undoubtedly, fascinating. But it’s not really a wise idea to get your baby’s bassinet from a yard sale. This is because you don’t really know how old such bassinets can be, making it hard to ensure that they meet the safety guidelines. Ideally, you should purchase a new bassinet from a trusted source, and verify that the bassinet has been certified to the required standard by a reputable agency. One of the main selling points of a baby bassinet is that it’s portable, meaning that it comes with wheels. Fortunately, these wheels can be locked to ensure that the bassinet remains stable when you want it to. So, when your baby is still inside, it’s advisable to keep the wheels locked. Also, if the bassinet is near a flight of stairs, or if you have other kids and pets at home, it’s best to keep checking if the wheels are locked at regular intervals. Manufacturers often recall bassinets because of issues like a risk of injury, entanglement, choking, entrapment, suffocation, and tipping. If you get to know that the bassinet model you’re using has been recalled, do not continue to use it any further. Contact the manufacturer and ask them about how to proceed. In most cases, manufacturers offer a refund, repair, or replacement for recalled bassinets. 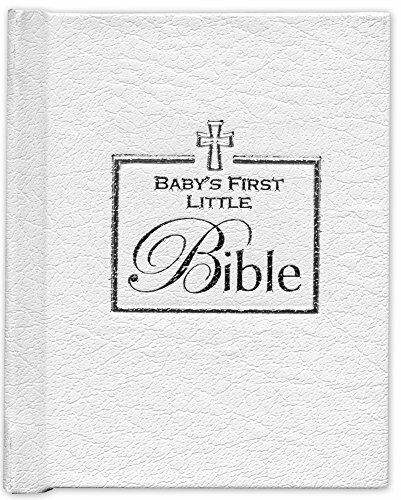 Baby bassinets come in a variety of models, each with its own unique features. Getting to know the kinds of bassinets can help you make an informed decision when it comes to buying a baby bassinet. In general, some of the most common types of baby bassinets are discussed below. This is the most standard kind of bassinet, and it comes with all of the basic features. 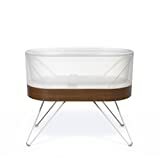 It sports a simple design that allows you to place the bassinet as close to your bed as possible. 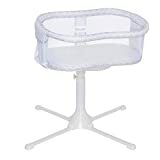 In recent times, these standard bedside bassinets have begun to be equipped with sheer mesh walls on the sides, so the parents can view the baby from the sides without disturbing the little one. These bassinets also come with adjustable stands that allow you to fold it up when not in use, thus saving space. 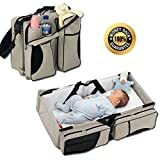 Bassinet is 34" x 20" x 31"
Co-sleeper bassinets are ideal for babies that have breathing troubles, and for nursing moms who need to be in contact with the child. Here, one side of the bassinet can be dropped down and attached to your bed, making the bassinet an extension of your bed. This arrangement makes feeding, snuggling, and comforting the baby an easier task. The best part is that a co-sleeper bassinet can also be used as a standalone bassinet by simply putting the movable side back up again. Also known as the transitional bassinet, this model is ideal for parents who want to keep their baby in a bassinet for the first few months, and then condition them to move to a slightly larger area that’s like a playpen. 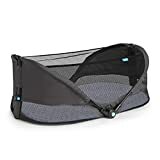 The multipurpose bassinet comes with a removable bassinet that be attached or removed from the top tier, and a fixed, permanent playpen area at the bottom tier, into which the baby can be moved once it grows out of the bassinet. It’s a great choice for parents who don’t want to buy a separate crib later on. 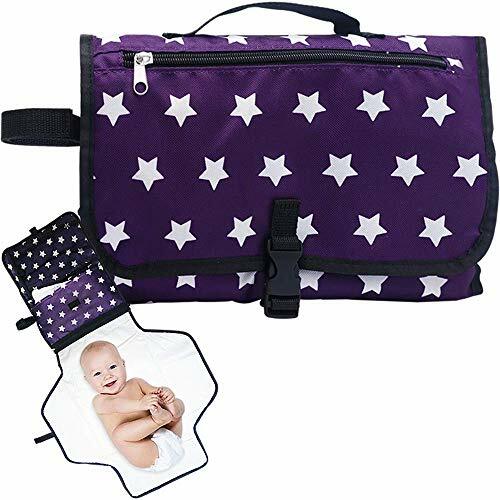 This model is useful for busy parents, single parents, or for parents who travel a lot and cannot leave their babies at home for whatever reason. The travel bassinet can be folded into a compact little size that makes it easy to store and transport it. 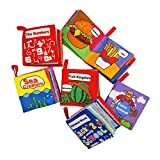 They are mostly lightweight, and come with their own tote, making it easy to fold it up and convenient to carry them for longer periods, if necessary. The travel bassinet also comes in handy if you’re taking a vacation as a family. A true testimony to the technological advancement of the twenty-first century, the smart bassinet is a model that has moms everywhere breathing a collective sigh of relief. It is especially designed to handle all those fussy cries that babies tend to be prone to at night, after lights out. The smart bassinet can sense if a baby is crying, and it responds with white noise or gentle rocking, bouncing, or gliding movements to soothe an unhappy baby. These bassinets come with settings that can be manually adjusted. If you’re planning to go bassinet-shopping, the first thing you’ll want to look for is whether meet the guidelines for bassinet safety issued by the Consumer Product Safety Commission (CPSC). 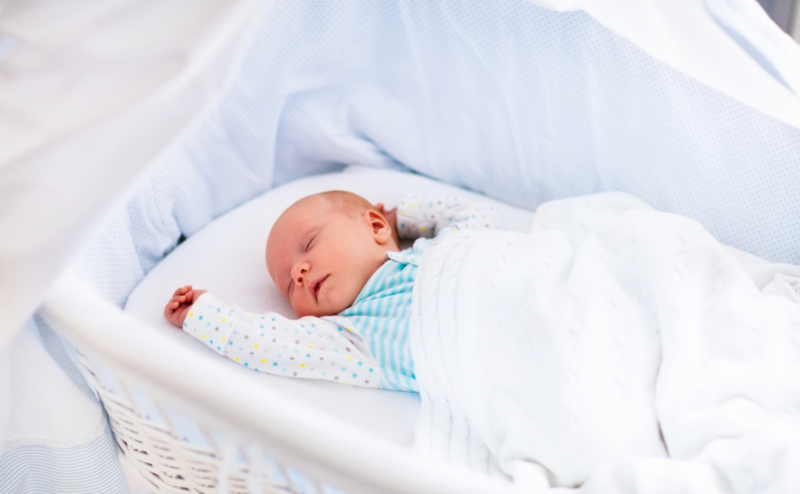 According to the CPSC, here are the four things you’ll need to look for in a bassinet. A stable bottom with a wide base–A sturdy base is an absolute necessity because you don’t want a bassinet that poses the risk of toppling over if your baby fidgets around. A wide base is another essential feature that ensures there’s ample room for your baby in the bassinet. Otherwise, it could feel cramped inside. Smooth surfaces–It can be tempting to purchase a bassinet that has a lot of frills and lace, because those models look absolutely breathtaking. But it’s not really in your baby’s best interests to get such a bassinet. Opt for a model that has smooth surfaces that won’t irritate the gentle and delicate skin on your baby. No hardware sticking out–Any parts that remain sticking out and don’t fit into their own proper places increase the risk of injury for the baby. In fact, the presence of any movable parts increases the risk of strangulation. So, it’s best to get a practical and simple bassinet that does not have any fancy hardware sticking out. Firm and tight-fitting mattresses–Here is where most parents err. Contrary to popular belief, a firmer mattress is better for a baby than a soft one that dips easily. The mattress should fit right into the bassinet’s frame without leaving any empty spaces around, and it needs to be firm enough to support your baby without dipping in. It’s advisable to continue using the baby bassinet only until your baby can roll over, sit up, or move around freely. Typically, this happens when the baby is between 4 and 6 months of age. Once your baby is able to move around independently, the shallow surface of the bassinet is no longer a safe option. It’s best to move the baby to a crib after that, or use a multipurpose bassinet for a while instead. The best diaper pail works wonders when it comes to masking the scent of dirty diapers. These convenient products can be incorporated into your nursery to ensure they are always within reach. 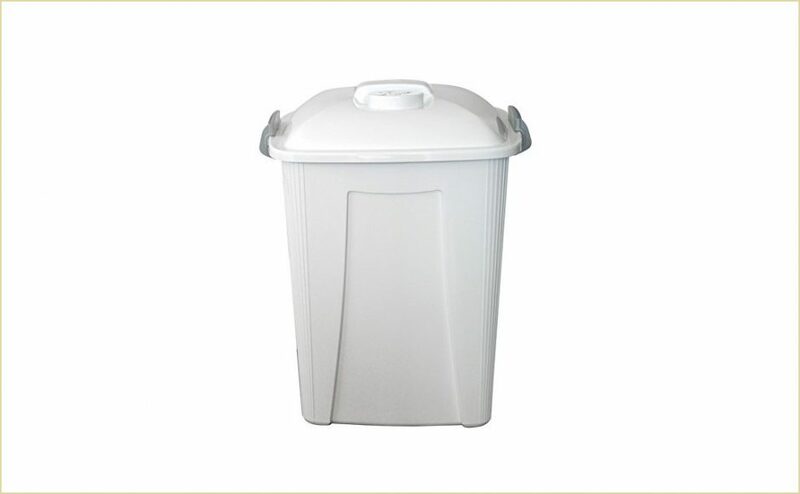 These are ten diaper pails that stand out from the rest as the best diaper pails on the market today. We have sorted them to the best rated according to online customer reviews.